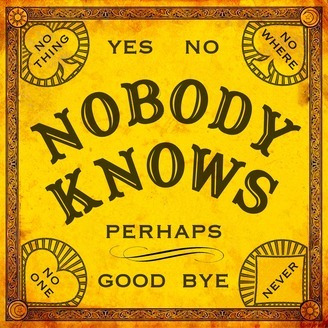 ​Nobody knows everything. And Nobody wants to share that knowledge with you. 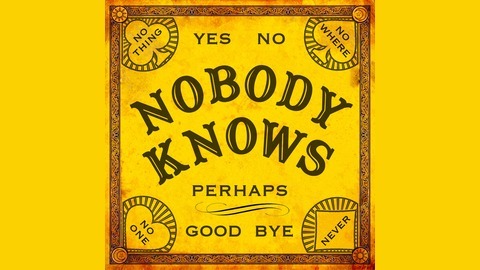 In each episode of Nobody Knows our spiritualist-in-residence named Nobody tackles a question from a listener​ as no one else can. Anybody can send in a question, but nobody knows how Nobody will answer. To send Nobody a question, visit www.themediums.org. Nobody began making Nobody Knows on January 1, 2018. And to celebrate the anniversary of that monumental occasion, Nobody presents this special New Year’s themed visit from one of Nobody’s finest episodes, with questions submitted by Danny Leo, Michele Rosenthal, Julius Masri, Amy Smith, Heather Houde, Loren Groenendaal, Heidi Kay, Sharon Wasko, Alanna Bozman, Lizzie Burrows, TJ McGlinchey, and Sasha Wright. Songs in episode include "Ein, Zwei, Drei und Vier (Glücklich Bin Ich Nur Mit Dir)" written by the Comedian Harmonists and recorded here by Fred Bird in 1932, “Lagu Ngisep Dublag” performed by the Angklung of Sidan in 1928, "Auld Lang Syne" recorded by Japan's Imperial Navy Concert Band in 1910, “Three Girl Rhumba” recorded by Wire in 1977, and “Three is a Magic Number” recorded by Bob Dorough in 1973. Pick a number from 1 to 20. Now show your love for Nobody by sharing this episode with that many friends. And look out for more news from Nobody in 2019.